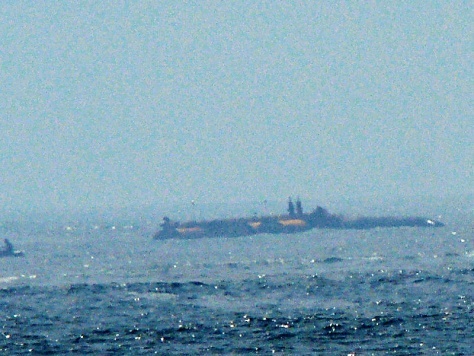 Russian sub or dredging equipment? This portion of a larger photo started a minor Internet sensation. See full image below.